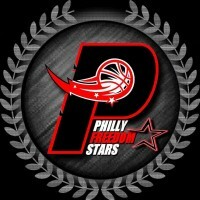 The Philly Freedom Stars is an organization that empowers kids to get to the next level through basketball. Coach Urian Garner and his team of coaches consistently challenge their players to improve themselves physically and in the classroom. A self-proclaimed ‘farmer,’ the seeds that he sows are on the basketball court and in living rooms of the families he works with. His mission of investing in kids in his community is currently paying off. However, the Freedom Stars have a new crop of players on the horizon that have yet to pay dividends. Garner got his start in grassroots basketball while coaching for a local boys organization called the RBK All-Stars. While there he coached future NBA Lottery picks such as Michael Kidd-Gilcrest and Dion Waiters. In addition, he coached Malik Wayns who was a McDonald’s All-American and would later play in the NBA with the essay social service Orlando Magic and Philadelphia 76ers. By 2012 his original team of players would have multiple division 1 scholarships including his son, Malik Garner, was co-captain at University of Maryland Baltimore County last season as a sophomore. This organization turned into one of the nation’s best teams by the time these ladies were seniors in high school. Today each one of these players are doing research paper on the roster at a Division 1 school across the nation. Erin Garner, ranked No. 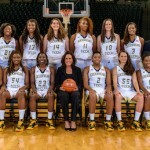 68 in her class, is poised to contribute for coach MaChelle Joseph at Georgia Tech. 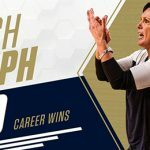 Point guard Alliyah Butts, ranked No. 85 in her class, will play at Temple this season. Ranked No. 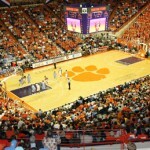 136 in her class, guard Chanelle Perry projects to be quality contributor for coach Audra Smith at Clemson. Chelsea Woods signed at St. Joseph’s and Ashli Jeune will play at Rutgers this season. Both could contribute in big ways for their respective squads. That success is far from being fleeting. As Garner adds, “This year we had a total of 22 teams of both boys and girls programs.” It is those type of numbers that will add up to lasting success and untold impact within all of the communities that they represent. 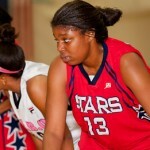 Presently the Philly Freedom Stars boast of a strong 2016 and 2017 class. Anndrea Lloyd of Lindenwold, N.J., is a 6-foot-3 post player in the class of 2016 and headlines the upperclassmen. 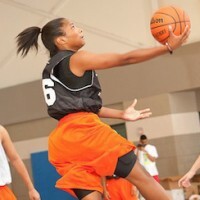 She shoots the ball very well for a post player and has picked up recruiting interest as a result. A number of schools along the eastern seaboard have expressed interest including Penn State and Howard. She is complemented by guard Taiah Thornton of Cherry Hill, N.J., who Garner calls the “best good ways to end a research paper guard in the program.” Although Thornton is somewhat under the radar, her breakout summer led her to gain calls a variety of calls from schools including VCU and Maine. Class of 2016 guard Julia Braungart of Southampton, N.J., is a high academic prospect who shoots the ball exceptionally well from the perimeter. 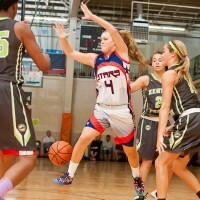 Her recruitment has involved schools such as Bucknell and Penn. She is joined in the backcourt by 2017 slashing guard Aliyah Stephens of Mullica Hill, N.J. Stephens is a good student in her own right as she is being recruited by high academic schools like Georgetown and Hofstra. Garner has high praise for another class of 2017 guard tandem in his program. Sydney Wager of Phoenixville, Penn., is a skilled guard who Garner has nicknamed “White Chocolate.” Her silky smooth game has coaches from all over the nation calling to recruit her. While left-handed guard Ayanna Mazyck of Philadelphia, Penn., is a super aggressive wing that picked up interest from the University of Kentucky in the eighth grade. 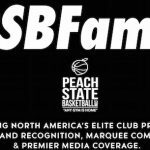 Although Garner and the Freedom Stars have a number of well recruited prospects in the junior and sophomore classes, look for them to be a prominent team within the grassroots community for many more years after that. essay on my favourite game cricket Class of 2018 post Brittany Garner of Merecrville, N.J., already projects to be one of the best players to ever come through the Freedom Stars organization. After our evaluation of her at the Real Deal in the ‘Ville Shootout in July and at the End of the Road Championships in September, she quickly enters the picture as an ELITE 25 Watch-list player for her class. Garner is joined by combo guard Natalie Rhine of Orefield, Penn, and forward Imani Lewis of Trenton, N.J. Both class of 2018 prospects project to be contributors for the Philly Freedom Stars in years to come. Coach Garner is not finished planting his seeds quite yet as he already has three middle school prospects that will be recruited heavily in upcoming years. Class of 2019 guards Kayla Burnett, Myasia Jackson and Taliyah Rahman have already positioned themselves for bigger things in the future.